Acne is the most common problem of all skin problems. Acne is caused by clogged pores and bacteria, and it’s often challenging to manage. Over-the-counter and prescription treatments may help, though some can cause serious side effects. If traditional treatments are unsuccessful, or if you prefer to try something more natural, you may decide to turn to herbal remedies. Herbal remedies were used to clear up acne and other skin problems well before modern treatments existed. Prasadhak provides ample holistic and natural ways to solve various skin problems and keep your skin healthy. Lavender oil is one of those few natural ingredients you can look up to for getting rid of acne troubles. For those who have oily skin, lavender oil can work wonders in controlling acne breakouts. Using the oil directly on open pimples isn’t recommended for newbies instead, start by blending with a carrier oil before applying topically. Use Aloe Vera Gel with lavender oil for the best results. Very few people are allergic to aloe vera gel, and applying it topically poses an extremely low risk. Aloe vera gel can be used with other natural products like tea tree oil, coconut oil, honey etc. to reduce acne problems. There are numerous ways to use Aloe Vera Gel to fight acne. One can use aloe vera with honey, lemon, and turmeric or with tea tree oil. Argan oil contains Vitamin E and high Linoleic Acid content which are great for acne. Argan oil’s high linoleic acid content helps to reduce inflammation caused by acne while helping to soothe damaged skin cells. To experience the argan oil benefits while exfoliating, just mix 1 tablespoon of brown sugar with a couple of drops of argan oil in your hand. Rub into your face in a circular motion for two to four minutes; pay special attention to acne-prone areas and areas that are dry. Neem oil has been used in traditional folk medicine and as a home remedy for acne because of the aspirin-like compound that helps rid the skin of bacteria. Acne is caused by an imbalance in sebum production but also by bacteria clogging up the pores. The anti-bacterial properties of Neem oil works to battle this and reduce acne. The Neem oil works to moisturize the skin and help to balance out natural sebum production, something which is the key in acne production. To get benefits of the Neem oil to apply it onto the concerned area using a cotton swab or cotton ball, and allow it to soak in for up to 20 minutes. Wash off the oil with warm water. Geranium oil could treat acne while doing some other amazing things for skin and hair at the same time. A Geranium essential oil can actually balance sebum production which means it’s a great natural alternative for dry, oily, and combination skin. Basically, this flower has benefits for all skin types. The oil is well known as a natural cicatrisant, which means it heals scars and evens skin tone. For Geranium oil acne use or other skin use, try mixing a teaspoon of coconut oil with five drops of Geranium oil, then rub the mixture onto the infected area twice a day until you see results. You can also add two drops of Geranium oil to your daily face or body wash. The Cedarwood oil works to tighten pores, reduce oil build-up, and fight off acne-causing bacteria. 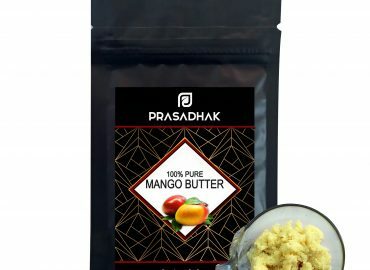 It is mixed with the cream or lotion which helps the individual who has oily skin, it solves the problems related to oily skin like a pimple and acne. Use Cedarwood oil this way for a better result: Make a natural face wipe serum using 3 drops Cedarwood essential oil, 3 drops lavender essential oil, 2 drops tea tree essential oil and 4 tsp. jojoba carrier oil. Rosemary essential oil is effective against acne and inflammation caused by acne bacteria. It also has antimicrobial properties that can fight full-blown breakouts, as well as stop acne before it forms. One can use Rosemary oil all over body in place of soap by mixing it with ground oatmeal, green tea and rose water. It will cool and soothe inflamed acne and fight bacteria clogged up in your pores. Tea tree oil has strong anti-bacterial and anti-inflammatory properties. Applying Tea tree oil to the concerned area has been shown to reduce acne. Several studies show that applying 5% tea tree oil to the skin effectively reduces acne. Adding a drop or two of Tea tree oil to your bath water helps you get rid of acne on your chest or other parts of the body. Honey can be used with other ingredients for the best result. Apply honey to your face gently and then leave it approximately for 20 minutes. This process will take time to reduce acne about a month. Like other natural remedies, coconut oil contains anti-inflammatory and antibacterial compounds. These properties mean that coconut oil may destroy acne-causing bacteria and reduce redness and swelling of pimples. Coconut oil may also speed up healing in open acne sores. Coconut oil is high in lauric acid, which helps kill the bacteria that cause acne. Applying coconut oil to the skin can kill acne-causing bacteria and increase moisture, which may also reduce acne scarring. However, coconut oil may be problematic for people with very oily skin. Lemongrass essential oil has a powerful, citrus scent. It’s often found in soaps and other personal care products. Lemongrass essential oil is a type of essential oil often used in aromatherapy. Use all over oily complexions to reduce and prevent the appearance of pimples while also revitalizing the skin. Lemongrass Oil can be combined with other natural remedies to enhance its benefits. Acne is a common problem with a number of underlying causes. However, these Herbal and Natural products help to get rid of acne.